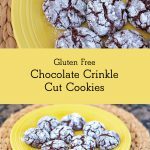 These chocolate crinkle cut cookies are absolutely divine; Your guests won’t be able to tell these cookies are gluten free because the taste and consistency are that of a ‘normal’ cookie. 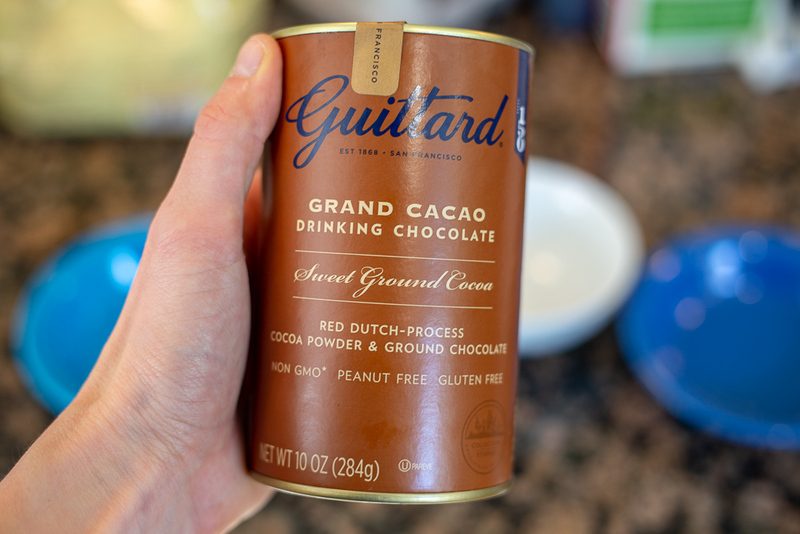 5 tablespoons unsweetened cocoa powder (natural or Dutch-processed) - I used  grand cacoa gourmet drinking chocolate because it’s what I had in the house, but after using it, I highly recommend! 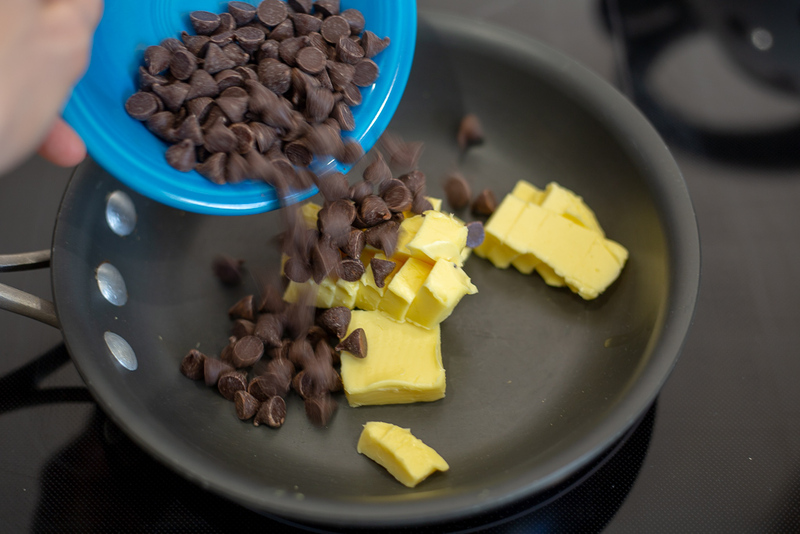 In a medium-size saucepan, place the chopped chocolate (or chocolate chips) and butter. 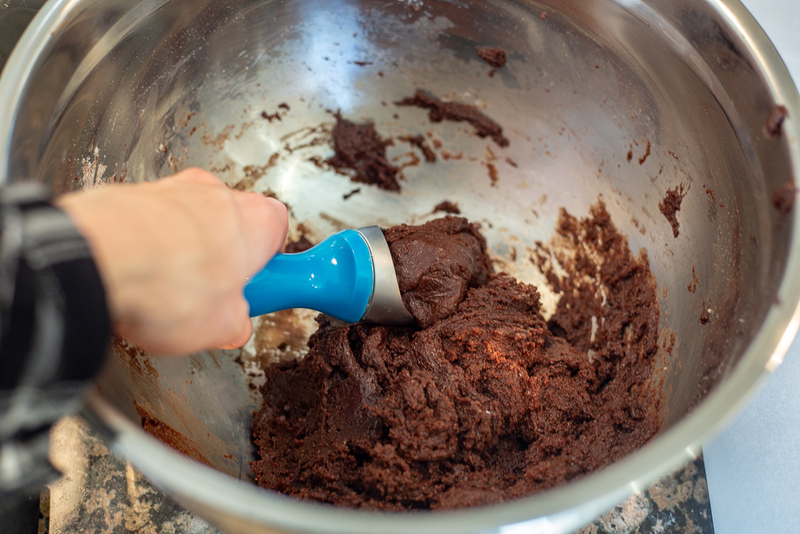 Stir occasionally until the chocolate and butter are melted and smooth. Remove from the direct heat and set aside to briefly cool. 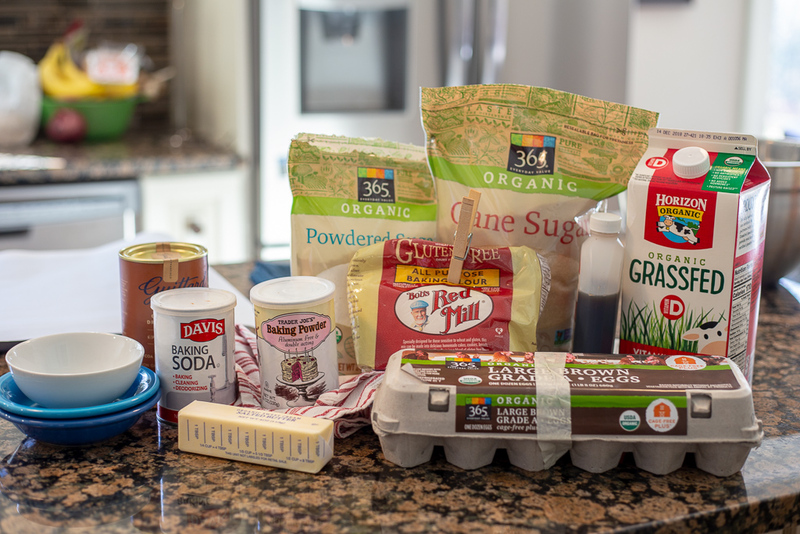 In a large bowl, place the gluten free flour blend, cacao powder, baking powder, baking soda, salt and granulated sugar, and whisk to combine well. 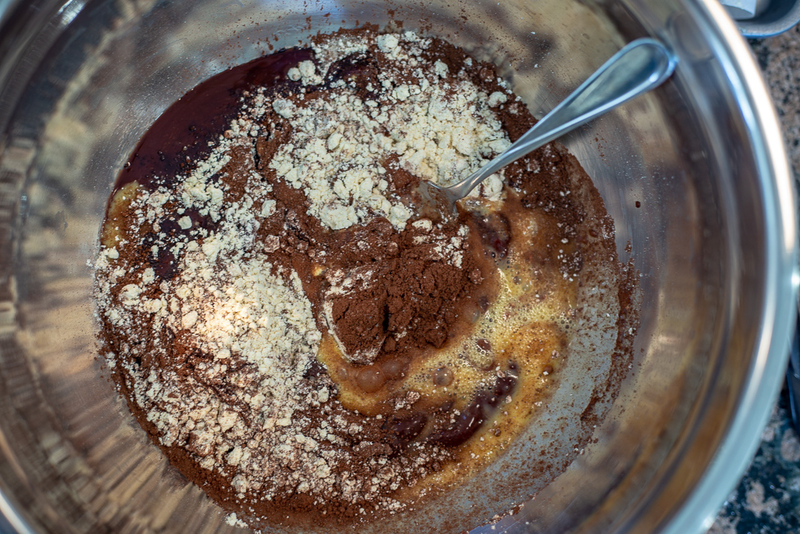 Add the melted butter and chocolate mixture, and mix to combine. Add the beaten eggs and vanilla, and mix to combine. The dough will be thick but soft. Measure tablespoon-size dough balls and place them about 2 inches apart on the baking sheet, totaling 24 pieces. 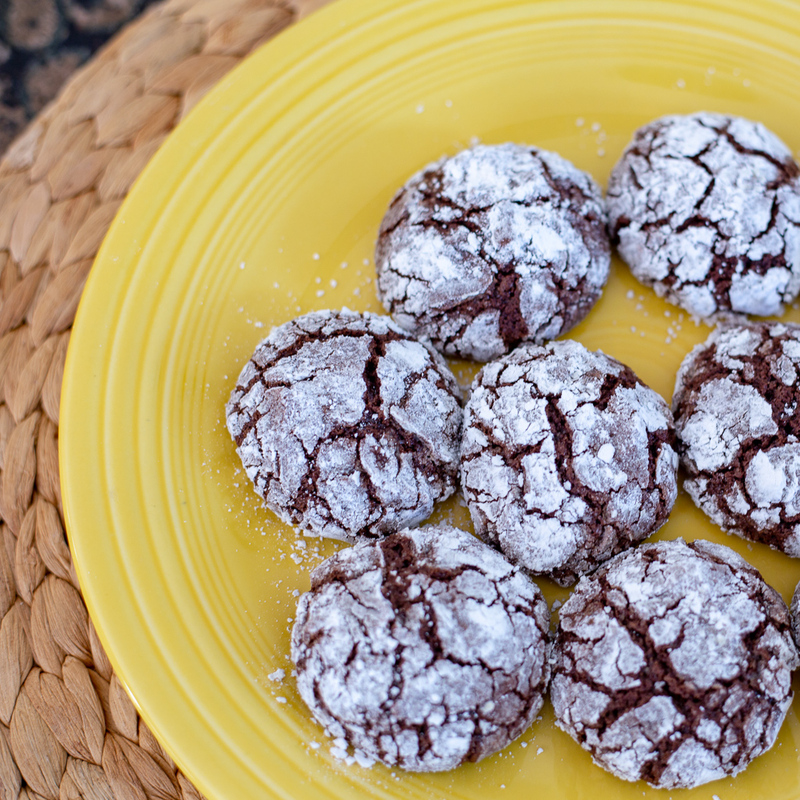 Roll each piece of dough into a ball and generously coat with the confectioner’s sugar. Repeat with every piece of dough. 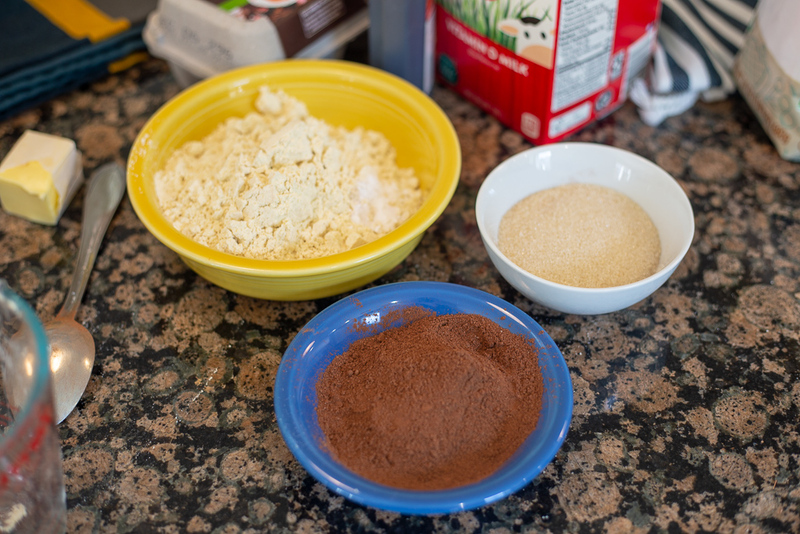 Press each piece of cookie dough once more in the confectioners’ sugar, making sure to cover generously in the sugar. Return each piece to its place on the baking sheet. 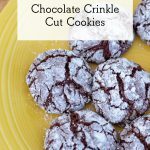 NOTE: The second coat of confectioner’s sugar is key for the crinkle exterior. 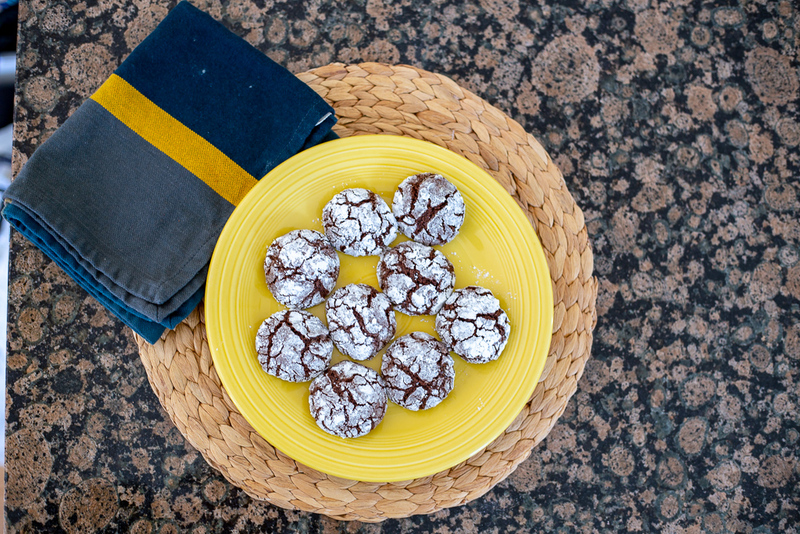 I coated a few cookies in a single sugar coating to compare the two approaches, and the cookie with the single sugar coating was too soft. Place the baking sheets in the preheated oven, one at a time, and bake for 12 minutes. 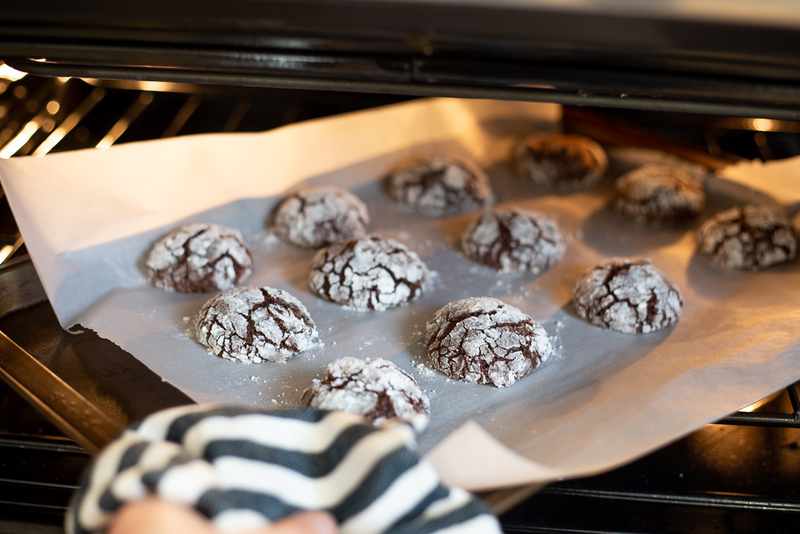 Allow the cookies to cool on the baking sheet for a few minutes before transferring to a wire rack to cool completely. 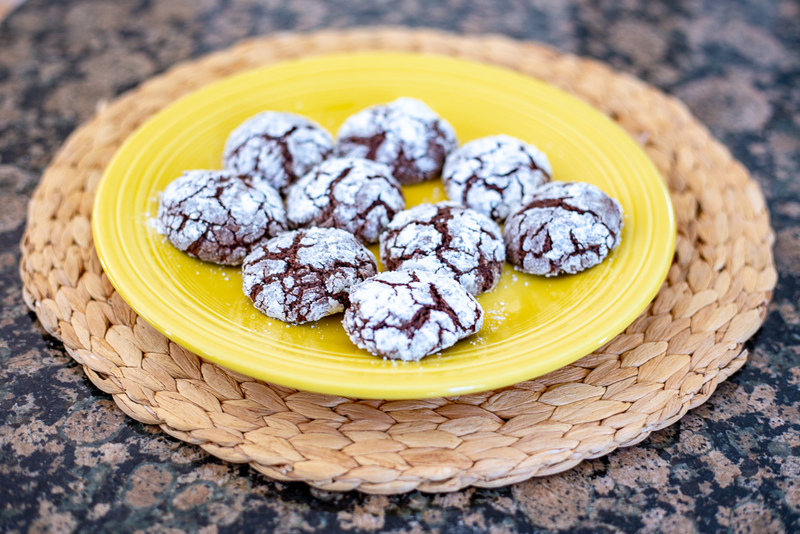 Chocolate Crinkle Cut Cookies are one of the 25 holiday cookies in the 2018 Holiday Cookie Bake Off, where you can bake-to-win over $1,000 in prizes. Find out more here! Erica Stoeckeler (Stek-ler) is a marketer and photographer based in Upstate, NY. In her spare time, Erica enjoys making yummy gluten-free food, running, and spending time with family. Erica derives inspiration from life’s little moments, which you can catch a glimpse of on her Instagram.